A powerful and flexible machine that can be equipped with different drive plates for a wide variety of floor preparation jobs including sanding, buffing, oiling and polishing. The robust single speed machine features an interchangeable disc system and ergonomic design. A fold down handle and big wheels make for easy transport and storage. Supplied complete with standard drive plate and dust skirt, working light with two LED lamps and power drive plate plus gear ring. 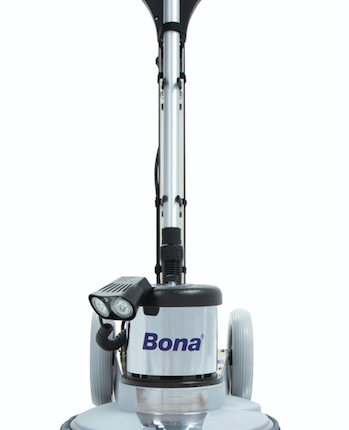 Bona FlexiSand 1.9 is a powerful machine that can be equipped with a variety of drive plates for a range of floor preparation jobs such as sanding back to bare wood, fine sanding and concrete grinding. With its powerful 1.9 kW motor and robust construction it runs smoothly even under a heavy load.